Quick overview Shows you how to understand and use 10 key educational ingredients to become a better and more effective teacher. Teaching would be easy if there were clear recipes you could follow every time. 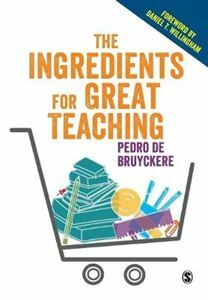 The Ingredients for Great Teaching explains why this is impossible and why a one-size-fits-all approach doesn't work.